The Prog supergroup returned with in 2009 with this masterpiece. 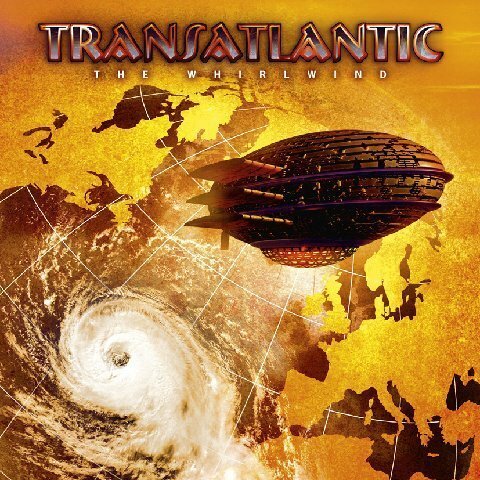 Transatlantic, the Prog supergroup with Mike Portnoy, Neal Morse, Roine Stolt, and Pete Trewavas, had released two hugely successful albums in 2000 with SMTPe and 2001 with Bridge Across Forever before taking an extended hiatus. During the period after their second album, Neal Morse left Spock’s Beard and Transatlantic was also put on hold as Neal began a solo career. However, the foursome would return in a big way, with The Whirlwind, an album based on one song concept. On the strength on tracks like “Rose Colored Glasses”, “Evermore”, and “Dancing with Eternal Glory”, the album would go on to be the group’s most successful album and tour and, is perhaps, their most celebrated album. Mike Portnoy is often quoted saying it is one of the best album’s of his career. Pete Trewavas talks about the album and how the group worked together making it: “Quite early on we started using some of my things and a fair amount of my music got put into that album, which I’m very proud of. I think its a really cool album, I think its a very concise body of work. It’s well rounded as a concept and it goes through some amazing stuff. Neal and Roine together, between the two they contribute so well to each other’s music, it’s a lovely thing to be part of.